We have proposed to summarize some basic tips to perform Marketing On Line (MOL), aware that in several opportunities the deepening in a specific element that integrates the MOL, makes us lose sight of basic strategies without which the system does not work. In summary we see the tree and lose sight of the forest. There is a fairly generalized tendency to set aside some basic steps because they require us to carry out a certain depth analysis of our project and many times we are not willing to invest that time in that basic purpose. This phenomenon does not only happen in the MOL but it is observed in various situations of daily life. We do not stop to solve the basics and we want to build a whole project on these unresolved bases, without taking into account that the road map of this project is exactly what we have not resolved. Sounds like a truism, but often we have a vague idea and does not specify the purpose and obviously if we are not clear about our purpose, we will hardly succeed. It is as if we got on our car with the aim of traveling and we do not have a defined place where we want to go, we would drive without a specific direction. 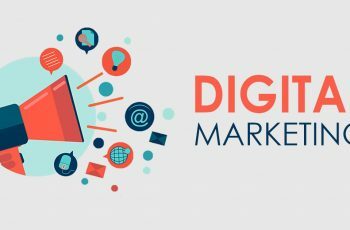 The common answers to the question about the purpose of the campaign, are usually “to get more customers” or “to increase sales” are not adequate and necessary. You have to be more specific with the purpose, for example: I want to reach a new sector of clients, with a specific profile; I want to double the monthly earnings; make the brand known in a specific region. Having clear purposes helps to make a realistic analysis of the chances of success. If we find that they are achievable, it also helps to study how to do it. The key in the MOL of small and medium enterprises is to focus on small niches. Wanting to campaign with an indefinite audience or otherwise said, without having the objective profile, is an erroneous approach that is due to brands with worldwide recognition. Knowing what the target audience is, helps to direct the focus towards where the target is and use the most efficient way to interact with it. The key is to locate where the audience is and send a clear and direct message. Beware of the titles, unfortunately they have to be short and summarized and can lead to misunderstandings if you do not delve into the content that follows. Let’s see, this does NOT mean that we have to go out to join all the existing social networks, open an account, put a good profile of our company and sit down to wait. The objective of using social networks is, on the one hand, to be present in which our target audience is located and to use the great power of them to make our proposal and contents arrive quickly and directly, which are two characteristics that present these platforms. It is important to maintain a contact frequency to get the attention of your followers and fundamentally to place quality content that is updated and that aligns with the purposes of the MOL campaign. 4. Evaluate the contents objectively and intelligently. Content is the key to the success of the MOL. At this stage of Internet development, having passed the novelty stage, good quality content is what users want. The evaluation of the content that our company issues is the image that potential subscribers make of it. Before uploading, you have to ask yourself at least the content has the required quality, if it is attractive, if it meets the characteristics so that the visitor returns again, if it represents the objectives of the company. It is not, in short, to publish content because, to achieve quantity, but it is about communicating an image of a brand through them. The style of writing, the graphic design and check that everything is aligned to the objective through the content should be monitored. 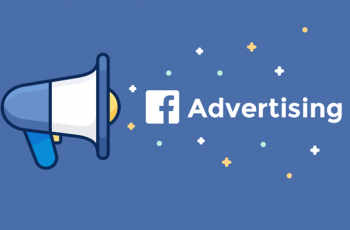 How To Know If Your Facebook Advertising Is Successful?